Juan delGado is a Spanish interdisciplinary artist based in London who works across a wide range of media. He is well known for his fragmented installations combining photography and video to explore themes of trauma, landscape, disability, dislocation and gender. He has been selected for programmes such as the 2012 BBC Big Screens, the 2013 Jerwood Open Forest and the 2014 Unlimited at the Southbank Centre, London. Juan delGado is a Spanish interdisciplinary artist based in London who works across a wide range of media. He is well known for his fragmented installations combining photography and video to explore themes of trauma, landscape, disability, dislocation and gender. His works have been displayed internationally, including shows at ARCO’05, Madrid, End of the World Biennial, Argentina, and the 2014 Mardin Biennial, Turkey. He has been selected for programmes such as the 2012 BBC Big Screens, the 2013 Jerwood Open Forest and the 2014 Unlimited at the Southbank Centre, London. Artdependence interviews Juan delGado on the occasion of his show Altered Landscapes at Watermans (London), for which he travelled to Turkey, Greece and Macedonia to collect stories of displacement and give voice to Syrian refugees to tell their journeys to Europe through a very personal and poetical narrative. Artdependence: Your works have always been informed by your personal experiences and you have mentioned on various occasions that your hearing loss and living with tinnitus has played an important role in your practice. In this sense, how do you integrate sound and memory in your projects? Juan delGado: Since my graduation I have been producing a wide range of art projects. Since an early age I have a hearing condition in which I can no longer hear high frequency sounds, and I also suffer from tinnitus, a sort of white noise constantly playing inside my head. This condition has had a strong impact in my practice as an artist, the way I perceive reality around me and how I interact with others and the world. In 2014 I was commissioned by the Forestry Commission to research and develop ideas for the project The Ringing Forest. 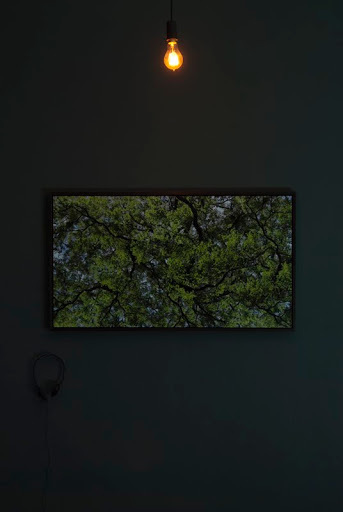 In this project, I aimed to explore the forest environment through the lens of my personal auditory experience, investigate the phenomenological perception of sound and movement and develop an integrated piece that challenged viewers to shift their perspective. Effectively disabling the audience in a subversive act of artistic sabotage, the work questioned our notion of the natural world. AD: You often participate actively and closely in other people’s work and experiences while developing your projects. 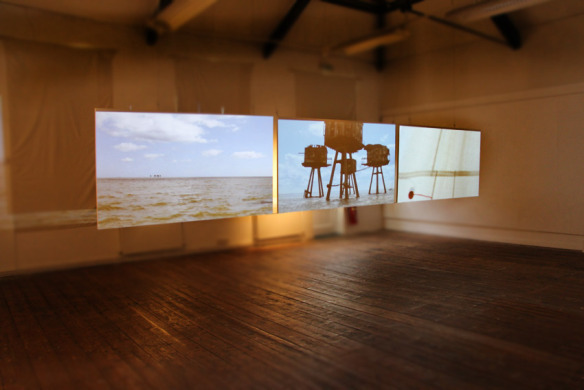 A clear example of this is Sailing out of Grain (2012), where you collaborated with sailor Hilary Lister. How did this experience affect your practice as an artist? Jd: I am very interested in other people's experience of the world and the stories that could come out of this. Therefore, my practice has increasingly become more collaborative. The “accidental” encounter with the other, and through the curiosity to know about them, is a natural move that I incorporated in my methodology. Meeting Hilary Lister, a young woman whose condition has left her body paralysed from neck down, triggered my interest to learn how she could possibly relate to the limitation of mobility and moreover, how learning to sail would bring back her freedom and sense of happiness. 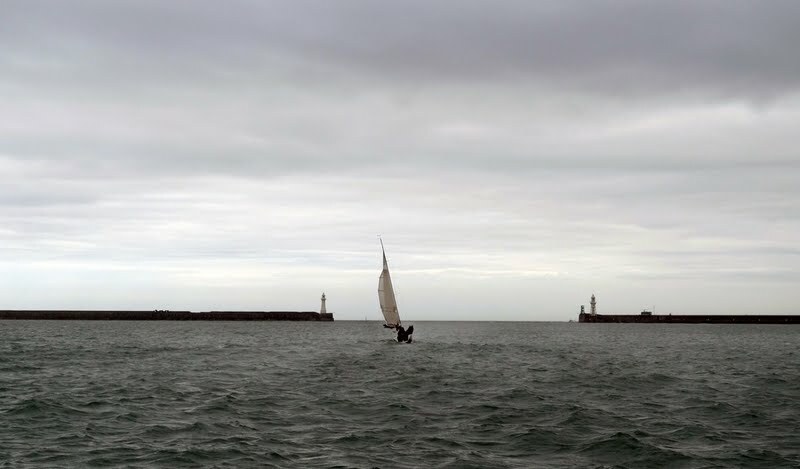 Of course, the project involved filming Hilary sailing, an extraordinarily demanding and physically exhausting work that I only became aware of days before the beginning of the production. Other projects like Le Reve de Newton(2010), allowed me to become closer to the experience of an old cyclist and how he defined aging and sport, competition and landscape; the story of Malcolm was presented again in multiscreen installation at Jarman Studios in Kent. AD: Why do you often choose fragmentation as a component to structure your works, as you did for example in The Flickering Darkness (2009) or recently in Altered Landscapes (2016)? Jd: Fragmentation (and repetition) are two core elements in the works I produce. In 2001, I produced my first moving image work, Don’t Look Under the Bed a two-facing screens installation, for this project I had to write a script which required that the characters would not follow rules of continuity, and the narrative will focus on issues of how to actively engage the viewer in the physical space where the work later will be exhibited. It became more apparent that the story didn’t need to be told in its entirety. I became aware that fragmentation could actually provoke in the viewer the curiosity to understand what it is not fully told or seen. This strategy implies a high risk of failure, in which the story doesn’t make sense and consequently, the viewer is left with a feeling of confusion and uncertainty. I incorporate other narrative elements to encourage a connection with the work, which goes beyond rational or conceptual understanding. AD: Altered Landscapes is currently on display at Watermans in London. 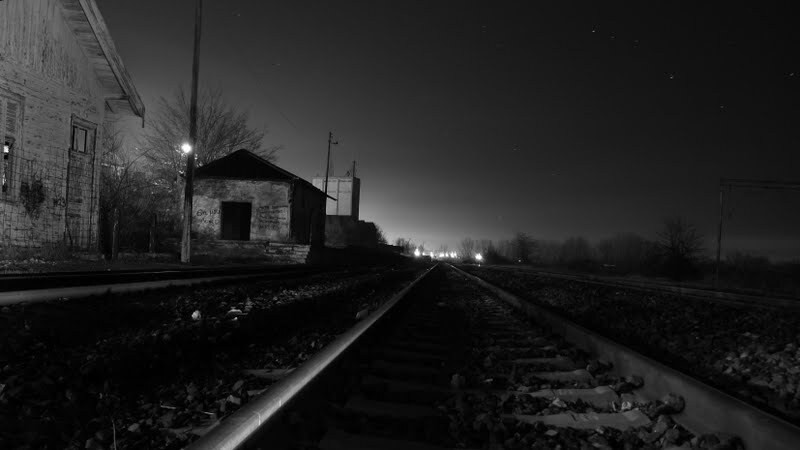 For this project you travelled to Greece, Macedonia and Calais to be in contact with refugees and capture, in a very poetical manner, the traces of their journey. Tell us more about this project. 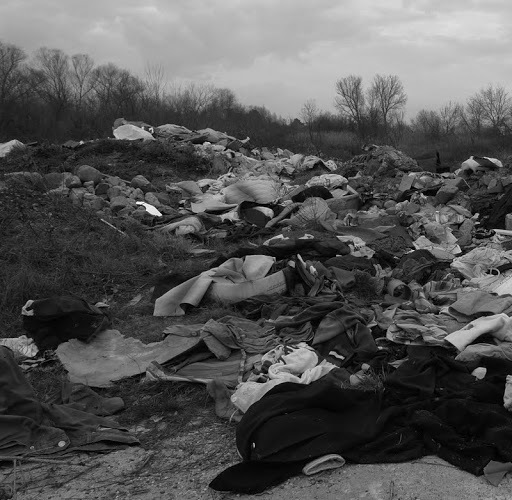 Jd: The landscape bears witness to the traumas and displacements of the people that move through it. Altered Landscapes is an immersive multimedia installation that traces a personal narrative through the scarred vistas of Europe in the midst of the largest mass migration in living memory. Since 2012, when I had my first contact with Syrians for a project I was starting, Qisetna:Talking Syria, I came across many artists who were going through a tremendous commotion in their life. Through this project, I started collecting stories from Syrians, mostly about their culture, music, arts… I deliberately avoided political or religious comments as I felt there already hundred of blogs and websites talking about this. My intention was to bring the human side of these people that have been taken away from them; by asking them to tell me a story I was hoping to reconnect them with their human side they have been abruptly detached from due to the conflict. My art practice is informed by narratives of mobility, trauma and territory. Being closely in touch with many people whose life has been turned upside down, I had to do something as a response to their suffering. I travelled to Turkey, Greece, Macedonia and record the places my friends and other people in transit went through. Through the use of video, photography, light and sound, Altered Landscapes brings the viewer on a journey. This intimate account of the experience of travelling through an unfamiliar landscape echoes the real life experience of tens of thousands of refugees. The viewer navigates the different elements in the gallery space absorbing the experiences of the refugees and witnessing the reshaping of the continent as Europe's horizons fill up with the authoritarian towers of a new militarised border control. Inspired by the text The Metamorphosis by Czech writer Franz Kafka, and the anxiety ridden B movie The Incredible shrinking man from 1956 the project centres on a personal diary from a narrator, a European subject, who is describing how his human identity is gradually eroded, being transformed into something else, as a response to the suffering he is viewing. These reflections are provoked by the events and debates of the last few years around the refugee crisis and are contextualised in a landscape which is strongly embedded in our collective imaginary, Greece with its Acropolis, the ancient citadel of Athens, and the birthplace of the democratic values and culture. AD: Your work has always engaged with topics related to human rights. How do you think art can catalyse social debates on topics that sometimes may feel invisible in our daily lives? Jd: Through my art practice, first in photography when I produced Transformers (1994-1996) I have approached the subject of gender with the attempt to show how transgender people in Spain were the catalyst for the social transformation in many levels; through this project a collective of people who remained invisible or considered “outsiders” I attempted to examine the social and political implications, the impact on the public space and challenges to normativity. 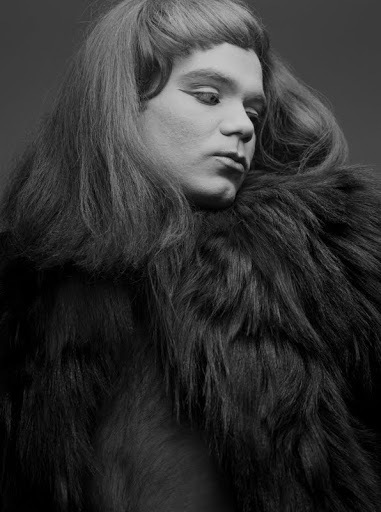 As part of this interest I wrote my thesis on Representation of Trans-sexuality in the Spanish Cinema (1971-1999) in which I considered the trans-sexual character in films when Spanish society was coming out of a period of lack of socio-political freedom and embracing the membership of the European Union and modernity. This project was presented at the Symposium The Way We Live Now organised at Sussex University in 1996. 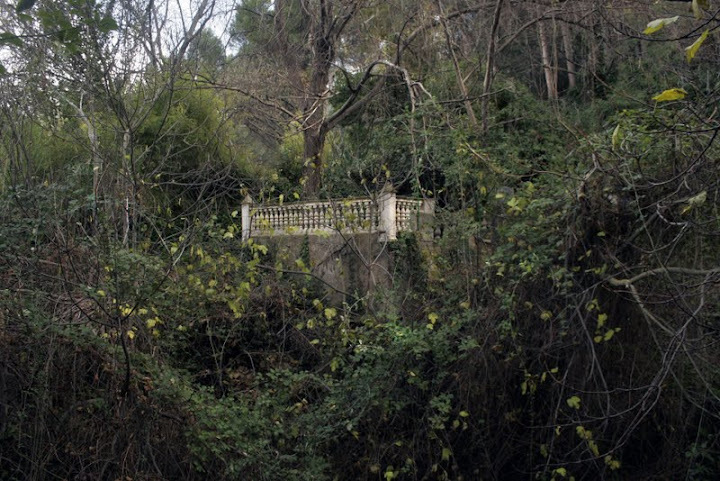 Other projects such as the photographic series The Wounded Image (1997-2003) provide knowledge of the local context and explore possibilities for the contemporary art to highlight, build from, and to expand the contemporary public debates about urban alienation, violence and social segregation. AD: The way you use darkness in your works doesn’t seem to conceal elements of the story to the audience. Is it a vehicle for the public to come to its own realisations? Jd: In a world constantly banged with noise and images, night is a moment in which this constant flux of information slows down. I am naturally attracted to this moment culturally considered a time to rest our body; and yet, this is a period when dreams and nightmares populate our mind; we are more conscious of ourselves, our body. Darkness poignantly diffuses our sense of perception. In the cinema of night, the framed reality becomes blurred and we are left with some glimpses of light; this is the departing point I use in some of my works to create the foundation in which reality, which is connected to the day and light, can be perceived as a dream, as something that embodies something else that is not apparent to our senses. Ultimately, I aim to bring out the mystery of life, what means to be alive in a world where we breathe the air expelled by others. In the dark we are confronted with that which defines us as humans, our internal struggle between the fear and desire of the unknown. AD: What can you tell us about your current and future projects? Jd: Since 2013 I have been the creative producer of Qisetna:Talking Syria, an online-based project, in which I have been collecting stories from Syrians that connect them with their human side that war has taken away. This project was featured by Unesco’s United 4 Heritage’s campaign as a living archive to preserve the Oral Heritage of Syria. I am also preparing the path to start researching ideas that will shape Troubled Waters, an artist film, which will be the continuation of Altered Landscapes. In this new work I am planning to collaborate with a Syrian writer in what will be a reflection about the different facts that turned this geopolitical region into a war that has expanded outside its borders. Altered Landscapes runs until 29 May at Watermans (London). Aina Pomar graduated in Sociology and Photography before completing a Master in New Media Art Curatorship. She has collaborated with Fundació Pilar i Joan Miró in Majorca and with CCCBLab and Fundació Foto Colectania in Barcelona. She moved to London to work at the Cultural Office of the Embassy of Spain, where she coordinated visual arts and exhibition projects with the aim of promoting Spanish culture and artists across the United Kingdom. She currently collaborates with various galleries and art projects in London.